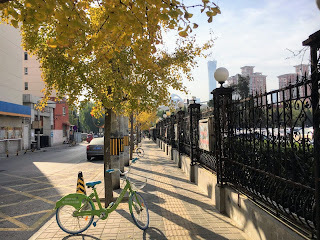 Desperately Seeking Adventure: Beijing: Operation Chaoyang District! Touching down into Beijing's Capital International Airport felt surreal, it was something that I had wanted for ages but I wasn't ready for the craziness that awaited me! Finding my apartment instantly gave me reassurance and having that WeChat Pay wallet ready helped a lot. Beijing had its perks but one bank was still acting the fool! No, I couldn't go back to Wuhan! Okay? Through the paperwork and procedures I had finally touched down onto Chinese soil, it was a mission! Beijing seemed like a crazy mess of lights and noise but the buzz of China was back in my life, that three-month hiatus was something else but finally being in Beijing felt amazing! Jet-lagged like nothing else I waded my way through to arrivals at Beijing's International Airport to be greeted by my Chinese principal from my kindergarten. Staying with the same company was the plan but I wanted to be in the country's capital to experience another side of my preschool organisation. I had worked damn hard for that transfer, I was going to work a lot harder in the big smoke! Taken to my hotel I was plagued with a rotten nights sleep but those Emirates flights from Birmingham via Dubai were sure worth the tiredness I was feeling. Ready to feel Beijing's truth I wanted to sleep properly until a respectable time! Let's get it BJ! Feeling slightly less awful than the previous day it was a good to be feeling refreshed after my epic journey. Agreeing with my Chinese principal, it was better to be looking for apartments before my company paid hotel room expired on the following Tuesday, it was currently Friday so it was best to bite the bullet with that apartment pursuit. 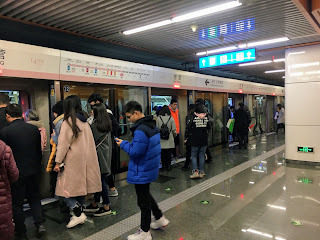 Stepping down into Chaoyang Park Subway Station opened my eyes to Beijing's gargantuan Subway, I had studied the map religiously for months so finding the China International Exhibition Center was a piece of cake. 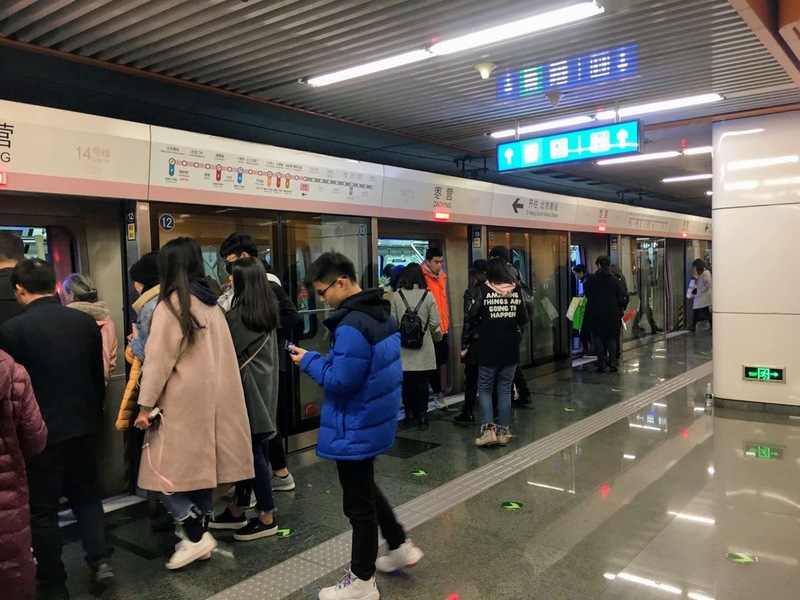 Line 15 showed me Suburban Beijing, I wasn't going to be living amongst the crazy but within the wealthy Shunyi Guo Zhan area that presented a sea of flash cars and designer savvy Beijing wives. Piecing together the map I had in my head of that area from my research I saw 'Euro Plaza', there I found a McDonalds as expected, it goes to show that it pays to be aware of your surroundings. Greeted by the property agent, the search was on! Leaving the apartment search with a firm choice, I signed for an apartment that had been lived in by the landlord, begging the question that he wouldn't live in a place that wasn't of a good quality. Getting a phone number had to be done, getting that taken care of in Shunyi was quite easy. Back in Chaoyang I had been set the task of getting a bank account sorted with China Merchants Bank, thankfully I had closed down my Wuhan account before leaving town. The staff who served me were so helpful, opening my bank account without any fuss was a breath of fresh air, Wuhan got me mad but Beijing was posing to be quite international and that was welcomed. Keeping two bank accounts worked for me in Wuhan, with a different city keeping my money synchronised had to be done for sure. Listen, I was not trekking back to Wuhan to close a bank account because the staff weren't prepared to think properly! No chance! My Sunday wasn't going to be dictated by that idiocy because I wanted to see Chaoyang Park, thankfully I had the time to do just that. 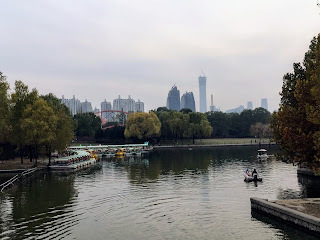 Transported to a bizarre situation, a setting within a Chinese park that served complete internationalism and I don't want to throw shade on other cities in China but Chaoyang Park was serving true Central Park realness! That afternoon was probably the first that I could breathe, the last few days had been fast and furious as I had parted with a lot of money and signed for an apartment within less than 72 after arriving from England. In retrospect, it was great to be shown three apartments in the same complex, but that park stroll relaxed me before the real work would begin. I'll definitely be back to Chaoyang Park in the coming months for a repeat visit and I hope Fiona will be with me to cause some commotion, the 'Wuhan Besties' could be making a comeback! Chaoyang Park was lovely, showing me that Beijing wasn't so smoggy after all! Exactly! My first five days in central Beijing would soon come to an end, making the most of that city centre time I had a little message on my preferred social app. That message turned into dinner and that turned into my first Beijing friendship, I suppose it's all networking at the end of the day? Yes, of course! I'm sure it took me at least three days to completely get over the mammoth journey from England, but it was so worth it! If truth be told I wasn't and I'm still not in any hurry to see Beijing at a rapid pace, it will all happen when the time is right. Back to Chaoyang, I chilled in the hotel room to make the most of the heating because Beijing has so far served some bone-chillingly cold temperatures, it's not something I am a fan of at all! I noticed that most Beijingers didn't stare like Wuhan City people did so aggressively! Beijing felt right, it hadn't quite sunk in that I had achieved what I had wanted, I had a long way to go but it felt good. Tuesday rolled around, being my birthday it was ironic that I was moving into a lovely and spacious apartment compared to my previous one because I was asked to leave my last apartment due to water damage. I probably didn't have a fabulous or scandalous birthday but I lugged all my stuff to my Shunyi apartment within good time. Internet was installed that afternoon and the apartment was cleaned professionally, well to a better standard than I have seen before. Feeling settled in pretty well considering I had arrived less than one week earlier, it was refreshing to have everything so organised. Topping my birthday I walked to my local supermarket, WuMei showed me how to bag one weeks shopping and household bits for less than forty Pounds! The first five days blew the ball out of the park, all I needed was my visa taken care of and to start work but those two things would be sorted soon enough. Just to add, I got my medical sort and it was so easy compared to before! Yes!